The morning of my birthday, last month, I had the urge to crochet whilst waiting for Mr CA to get ready to take me to Jamie's Italian. I was dressed and ready, just waiting for him which is always the way in our house. 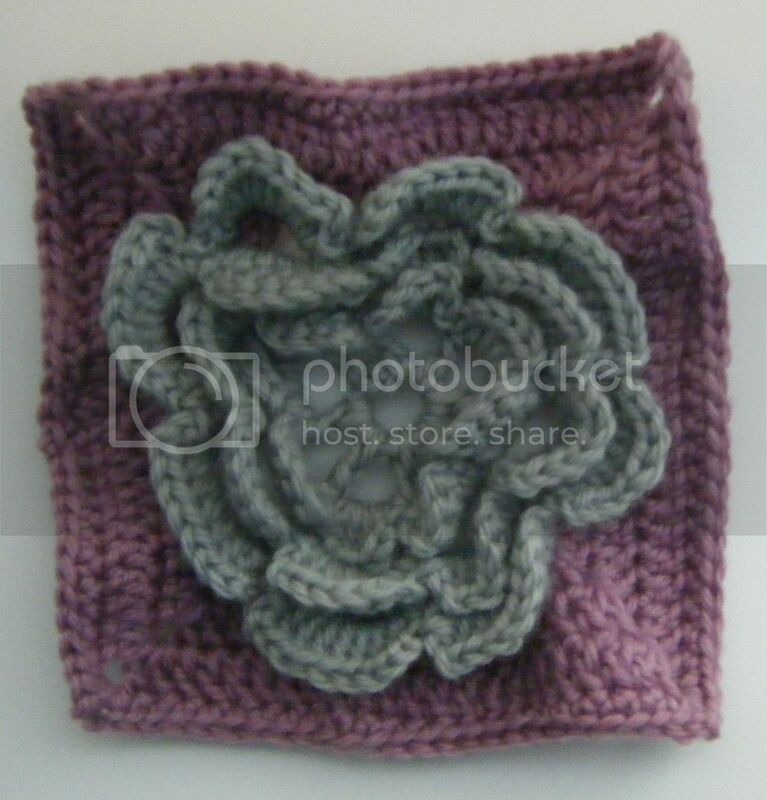 I picked up 200 Crochet blocks by Jan Eaton and started working on a square. This is no 197 - Fretwork. As I was crocheting I came up with a half-baked notion of making a sampler blanket, using my stash of left-over oddments and this book. A blanket made up of each square in the book, and maybe some more from other books or the internet. Later that week no 16 - Waterlily was born. This is left overs from the wrist warmers I posted earlier in the week. 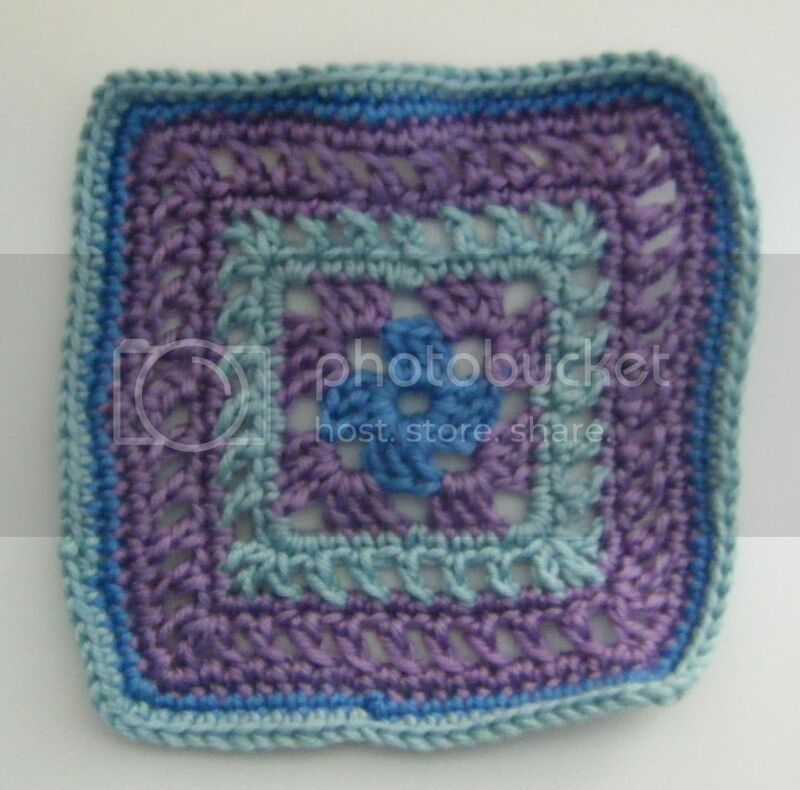 I'm not sure if my half-baked notion will come to fruition, but I might just keep crocheting a square as and when I feel like it and see what happens. It will be a rainbow blanket, out of necessity, so I think if I keep the colours similar within squares (and add neutrals apparently), it should work out. We will see. Or not. edited to add. As I was adding the tag to this post, I saw there is already a tag for "granny sampler blanket". It would appear this is not a new half-baked notion. I have a vague memory of some other blocks from this book.... I'm off to investigate. Maybe you are closer to creating that blanket than you thought you were! I wonder if you - in the meantime - unearthed some more blocks you've made previously ;)! I have something similar going for years already. Every time I feel like knitting (and it's not often) I would knit a square and one day I hope to have enough for a blanket. Keep going, those squares look lovely. wonder f I could follow the instructions in this book I seem to be having problems understanding from the book I bought, maybe I will pop over to amazon, have not bought a book for about 3 weeks! you are a crafting machine! HAHA I quite often forget what I've done too - supplies bought, projects started, projects finished - the older I get, the fuzzier things become - oh well! As long as I remember my own name and my internet password, I should be OK ;) Pretty blocks - especially the waterlily! You have my husband's sympathies Wendy, he claims to be always waiting for me!